It’s just what it sounds like. The water is flowing in the opposite direction from its normal flow. 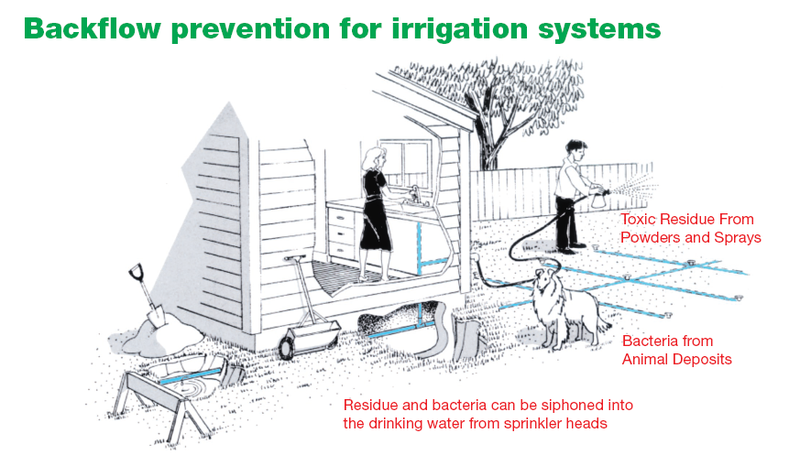 With the direction of the flow reversed due to a change in pressures, backflow can allow contaminants to enter our drinking water system through cross-connections.A potentially hazardous cross-connection occurs every time someone uses a garden hose sprayer to apply insecticides or herbicides to their lawn. Another cross-connection occurs when someone uses his or her garden hose to clear a stoppage in their sewer line.Without a backflow prevention device between your hose and hose bib (spigot or outside faucet), the contents of the hose and anything it is connected to can backflow into the piping system and contaminate your drinking water. This hazardous situation can sometimes affect more than a single home. In 1977, an entire town in North Dakota had to be rationed drinking water from National Guard water trucks while the town’s water distribution system was flushed and disinfected following contamination by D.D.T.Investigation determined that two residents spraying DDT had made direct cross-connections to their homes. A backflow condition had occurred. DDT had been sucked through the home piping systems and out into the town’s distribution system. Backflows due to cross-connections are serious plumbing problems. They can cause sickness and even death. However, they can be avoided by the use of proper protection devices. Each spigot at your home should have a hose bib vacuum breaker installed. This is a simple, inexpensive device which can be purchased at any plumbing or hardware store. Installation is as easy as attaching your garden hose to a spigot. drinking water to be contaminated if a backflow condition occurs. 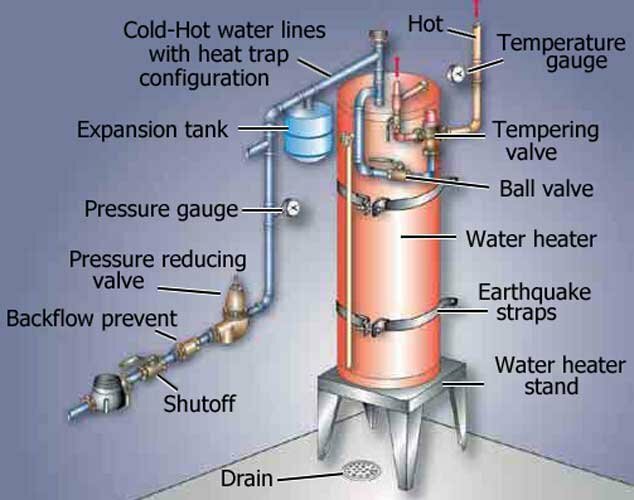 below emergency setting of a water heater’s pressure relief valve.